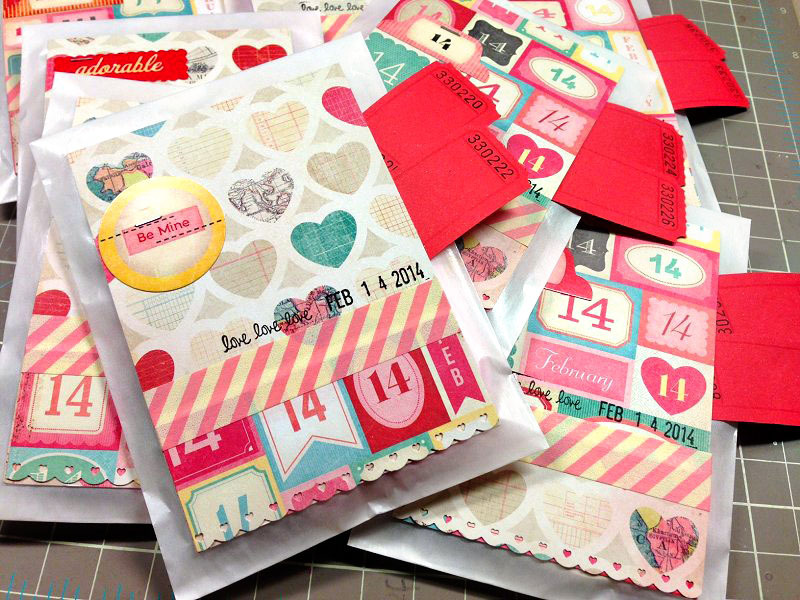 michellephilippi.com» Blog Archive » Valentines for my friends. Posted by Michelle on February 7th, 2014 . 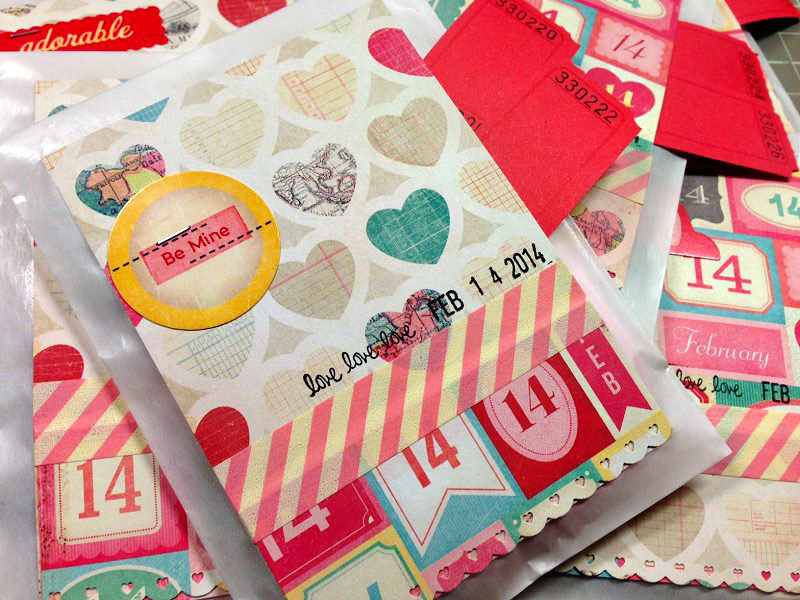 Filed under: Crate Paper, Gift Packaging, Valentine's Day . I found a hot little deal on something cute to tuck in to Valentine packages, so I packaged them up all prettylike in some old yet lovely Crate Paper elements. 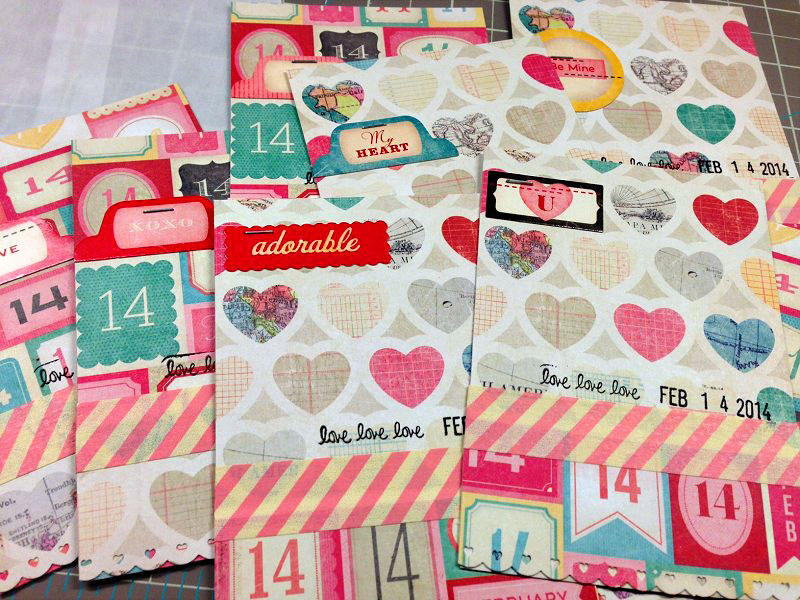 I cut little rectangles, cut and punched a little heart border with some coordinating patterned paper, added a strip of washi, a little love love love date stampy, a sticker, a staple, some tickets, and adhered it all on the front of a glassine bag. After those were all made, I wrapped them in a piece of old book print pulled from a book that I picked up for cheap at the antique shoppe, attached a picture that I had taken a while back, tied it off with some baker’s twine, and these babies are in the mail today! 2 Responses to Valentines for my friends. 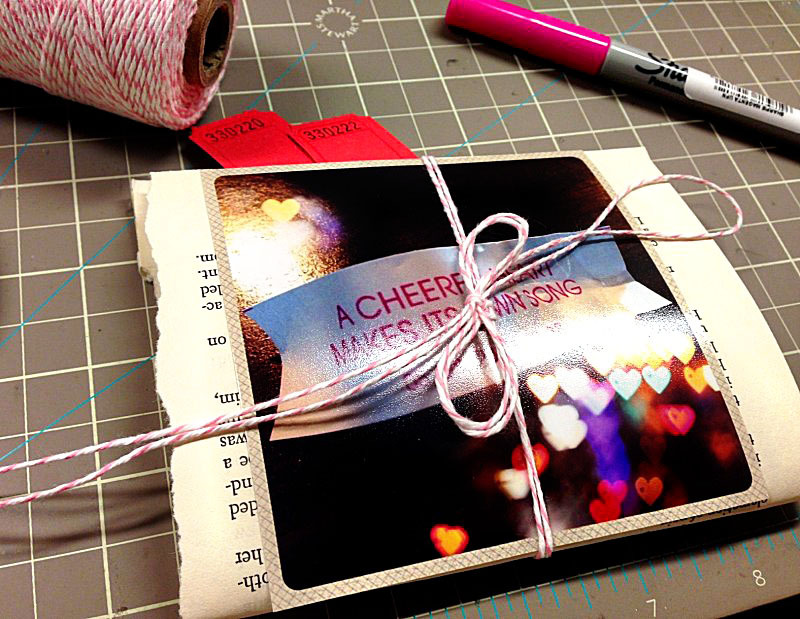 Michelle you have such a knack for making such neat neat gifts!! I wish I lived closer so I could soak some of your talent in person!! Happy Friday! Love the vintage feel! You are so creative and love to see how you pull different items together! Have a great weekend!